Our bingo halls offer colour coded cards so you always know how many numbers you need before bingo. You will also find our auto play, auto daub and auto bingo options very helpful. 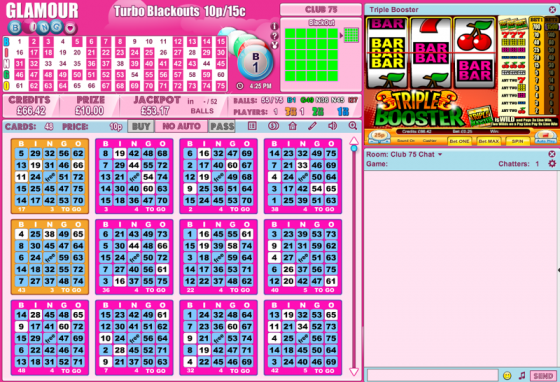 Click on the image above for a larger screen shot of our fabulous 75 ball bingo halls.